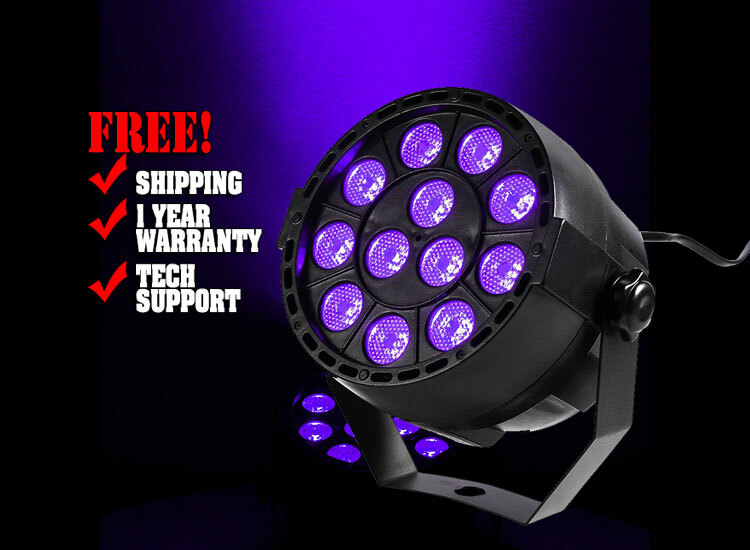 This light can be used in multiple modes….Sound-activated, Auto, DMX or Master-slave. Classic UV light effects, lightweight, portable unit, totally plug & play. UV LED Black light fixture creates a special lighting effects that make fluorescent body paints and ink, balloons, candles, cosmetics, bubbles, sticks and wall stickers glow in the dark; great for bands, clubs, dance, performance stage, theatrical productions, DJ events and mobile light shows. This fixture offers 12 – 1 Watt UV LEDs. 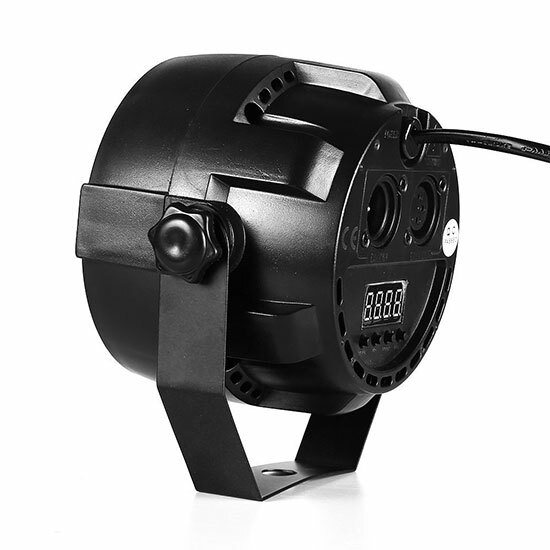 This light can be used in multiple modes….Sound-activated, Auto, DMX or Master-slave. Classic UV light effects, lightweight, portable unit, totally plug & play. UV LED Black light fixture creates a special lighting effects that make fluorescent body paints and ink, balloons, candles, cosmetics, bubbles, sticks and wall stickers glow in the dark; great for bands, clubs, dance, performance stage, theatrical productions, DJ events and mobile light shows.